The DPS-1 Amplifier/Speaker selector from Niles enables you to select the output of either two amplified audio sources such as a receiver or component TV. The selected source can then be listened to on a common pair of loudspeakers. 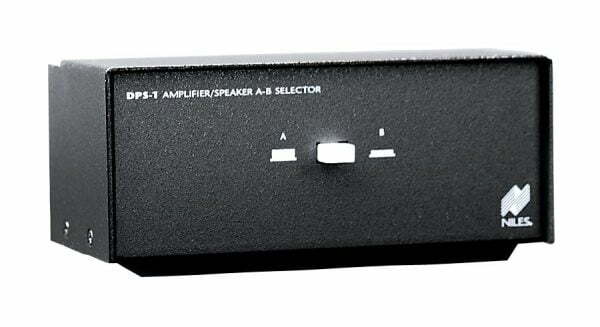 Conversely, the output of a single amplifier can be listened to on either of two pairs of loudspeakers.